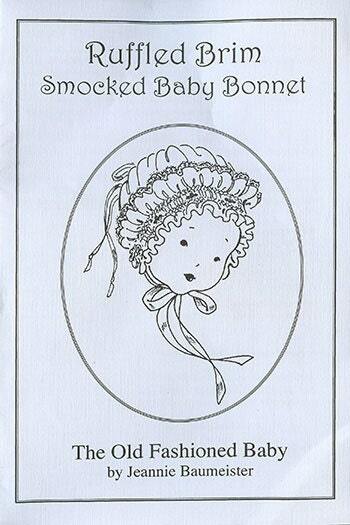 The Ruffle Brim is edged with lace and a smaller ruffle frames Baby's face. The bonnet ties in the back with a ribbon making it adjustable. 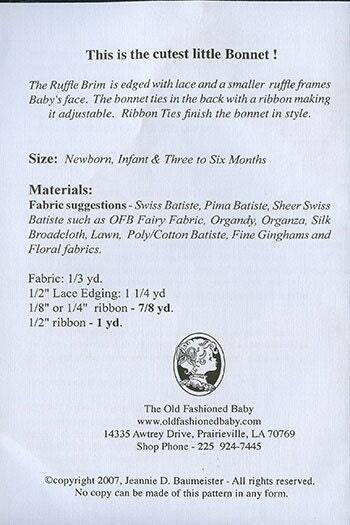 Ribbon Ties finish the bonnet in style. Item was as described and shipped received promptly with friendly service from this shop.